Passed peacefully away with his family beside him, Frederick (Fred) Louis Alteen, at the Western Memorial Regional Hospital in his 96th year. He leaves to mourn with fond and loving memories his children: Linda (Richard), Fred (June), George (Vera Lynn), Paul (Shahad) and John (Anna Marie); grandchildren: Lisa (Joe), Aimee (Tom), Georgie (Autumn), Matthew, Katie, Dianna, and soon to be first great-grandson; sister Muriel, brother Lou (Elizabeth); sister-in-law Barbara; his special caregiver of nine years Julie and caregivers Patricia, Lydia and Ilse; his furry companion Peaches; as well as a large circle of nieces, nephews, other relatives, and friends. He was predeceased by his loving wife Dorothy (nee Podrouzek), parents Louis and Sophie Alteen, sisters Viola and Lillian, brothers Wally, Nick, Doug, and Laurie. Fred was a well-known and respected leader in the business community and a generous contributor to local organizations and he was a founding member of the Western Memorial Regional Hospital Foundation, and a life-long member of the Kinsmen and the Knights of Columbus. Through his volunteer efforts he was awarded the Governor General Caring Canadian Award, the Minister of Veterans Affairs Commendation Award, and many other recognitions and awards throughout his lifetime. Fred was a WWII Veteran where he was stationed in England as a radio operator and technician with the RCAF. He was a very active member of the Royal Canadian Legion, Branch 13 where he held many positions within the Legion board. A special thank you to Dr. Coleman and Dr. Lafferty, and the nurses and staff of the Palliative Care Unit. 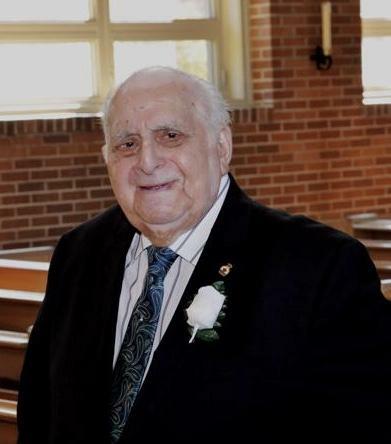 Friends may visit Fillatre’s Funeral Home, 4 St. Mark’s Avenue on Monday from the hours of 7-9 p.m. and Tuesday 2-4 and 7-9 p.m. The Mass of Christian Burial will be held on Wednesday, November 28, 2018 at 10 a.m. from the Cathedral of the Most Holy Redeemer, Mount Bernard Avenue with Father Edward Terry officiating. Interment to follow at Mount Patricia Cemetery. As expressions of sympathy, in lieu of flowers, donations may be made to the Western Memorial Regional Hospital Foundation or to the Poppy Fund, Royal Canadian Legion Branch 13. The family guest book may be signed by visiting www.fillatre.ca.